In addition to the First Announcement and Call for Abstracts that was published in October (see www.sednet.org and/or article below) we wish to draw your attention to a Special Session that we are keen to organize at our 2015 conference in Krakow. We invite you to also consider sending in abstracts dedicated to this session. Excessive fine sediment loadings delivered to rivers from a variety of sources including agriculture have detrimental impacts on aquatic ecology and thereby degrade the ecological status of freshwater as well as estuarine and marine environments. Therefore there is a need to improve knowledge of the linkages between excess fine sediments and aquatic organisms in order to develop revised targets for guiding catchment management. These targets can be used to assess compliance to the WFD and other environmental policies and should be accepted by Member States. This Special Session will review recent work examining the impact of excessive fine sediment loads on freshwater as well as estuarine/marine biology (fish, macroinvertebrates, diatoms, macrophytes) and the development of frameworks for supporting targeted decision-making for fine sediment management. A possible outcome may be a proposal for how to advance the scientific state-of-the-art in this field. SedNet would – additional to the topics indicated in our call of October (see next article) – be very pleased to receive abstracts for oral or poster presentation, addressing the topic described above. Abstracts will be selected by the SedNet Steering Group either for platform presentation or for poster presentation. The template for submission of abstracts can be found on www.sednet.org. Deadline for submission of abstracts is 15 January 2015. The conference is hosted and co-organized by the Faculty of Geology, Geophysics and Environmental Protection, AGH University of Science and Technology. Abstracts on these topics will preferably point out the link between society and sediments and relate to its ecosystem functions. Also process-related studies of sediment transport and budget in rivers are welcome that help to understand the sediment-water-soil system. The meaning of effect-oriented research will be a topic as well as the identification of future challenges and perspectives. Please see www.sednet.org for the full text of the Call and the template for abstracts. After more than 10 years, the EU-level Common Implementation Strategy (CIS) through which Water Framework Directive implementation issues are discussed and agreed is still very active. Working Groups under this process are open to both Member State and stakeholder representatives, who work collaboratively to facilitate information exchange (e.g. through workshops) and in some cases to produce guidance documents. The PIANC-led WFD Navigation Task Group inter alia provides an opportunity for representatives of the wider navigation sector to participate in relevant activities under the CIS process. Over the years, the Task Group has been represented in a number of CIS Working Groups. It is currently represented in a corresponding or participating capacity in four: ecological status, chemicals, ecological flows, and programmes of measures. In addition to having a mandate from Water Directors to address the specific topics of water re-use, leakage, and natural water retention measures, an aim of the PoMs Working Group is to help improve understanding of the links between WFD ‘pressures’ and ‘measures’. – any references made to sediments during Group discussions – for example in the context of measures to be reported in the second round RBMPs or the work on natural water retention measures – were inevitably made in the context of materials in suspension being a contaminant. The need for measures to manage (reduce) sediment in run-off from agricultural or urban areas was commonly cited. The role of sediments as a vital component in many natural aquatic ecosystems, in turn supporting the delivery of the WFD’s hydromorphology objectives, was simply not acknowledged. Following her umpteenth intervention highlighting the essential role of sediments in natural physical systems, Jan Brooke (the Navigation Task Group representative on the PoMs Working Group) was invited to prepare a presentation on sediments for the Working Group’s October 2014 meeting. 2. at the same time highlighting the need for more attention to hydromorphology, notably morphology, within the WFD implementation process. Jan’s presentation – which was developed with the support of, and draws on previous presentations delivered by, SedNet members – can be accessed here. Emerging pollutants may be posing a significant ecological and human health risk through their presence in water bodies. We do not know enough of them to assess and manage this risk. The EU 7th Framework Programme project SOLUTIONS addresses this issue. . 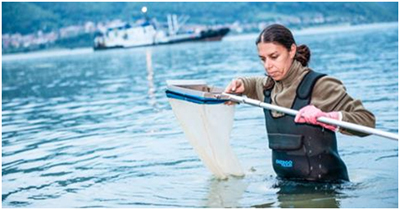 The project targets the development of evidence-based environmental policies with regard to water quality and its protection against contamination. SOLUTIONS combines monitoring and modelling-based approaches towards the prioritisation of emerging contaminants and the assessment of abatement options. Sediment being a relevant carrier and “destination” of chemicals, SOLUTIONS will be addressing emerging compounds in suspended particular matter (SPM) and in aquatic sediments as well. Modeling the emissions and fate & transport of a mixtures of emerging compounds (in the order of 10,000s) in all European River Basins will provide insights in the quantities emerging compounds ending up in SPM and aquatic sediments, and how substances properties, emission patterns and basin characteristics affect this. On top, SOLUTIONS will develop novel Chemical Analytical Tools and Ecological Assessment Tools suited for the investigation of aquatic sediments in the field. SOLUTIONS has just started the second out of 5 project years. Keep track of progress on www.solutions-project.eu. W. Brack and 48 co-authors. The SOLUTIONS project: Challenges and responses for present and future emerging pollutants in land and water resources management. Science of The Total Environment, Volumes 503–504, Pages 22–31, 15 January 2015. From January 2015 the Swiss Centre for Applied Ecotoxicology together with the Swiss Federal Institute of Aquatic Science and Technology (EAWAG) and the Federal Office of the Environment (FOEN) will work to upgrade the framework of the modular monitoring procedure for surface waters with adapted methods for the assessment of the quality of sediments from Swiss water bodies. According to the Swiss Water Protection Act of 24.1.1991, surface waters must be protected from negative influences -including pollution- in order to fulfil their numerous functions as habitats for plants and animals and ecosystem services. This legal instrument stems from the concept of comprehensive protection and, to achieve its goal, requires the assessment of a broad range of ecosystem functions and pollution sources. In practice, it is accomplished through surveys at three different intensity levels – regional, water course, and section level – using a modular monitoring procedure (www.modul-stufen-konzept.ch). Modules include hydrology, ecomorphology, biology (banks and surrounding vegetation, higher water and marsh plants, algae, makrozoobenthos, fish), water chemistry and ecotoxicology. The cantonal services are in change of implementing monitoring programmes through harmonised methodologies developed for each module. The Swiss Water Protection Ordinance of 28.10.1998 stated that sediments must not contain accumulated persistent pollutants to ensure the protection of aquatic life but only some cantons have considered sediments within their monitoring programmes for surface waters. The absence of guidance documents for sediment quality assessment is preventing further implementation. From January 2015 the Swiss Centre for Applied Ecotoxicology together with the Swiss Federal Institute of Aquatic Science and Technology (EAWAG) and the Federal Office of the Environment (FOEN) will develop adapted methods for the assessment of the quality of sediments from Swiss water bodies within the framework of the modular monitoring procedure for surface waters. The project will develop a module “Sediment” conceived to aid cantonal and private services and to support the cantonal water protection institutions to fulfil their obligations regarding water protection. The module will complement the existing modules allowing a more comprehensive assessment of Swiss surface waters. The first phase of the project will deliver recommendations for the assessment of the chemical state of sediments together with a guidance for sampling and analysis. It will also recommend sediment quality criteria for the assessment of sediment quality and an evaluation system in line with the modular monitoring procedure. Further information: Carmen Casado (Carmen.Casado@centreecotox.ch); Benoit Ferrari (Benoit.Ferrari@centreecotox.ch). It Sediments play multiple roles in the environment. They may carry contaminants, a habitat and a resource or indeed all three. Contaminated sediments have the potential to pose a risk to human health and the environment and to impact commercial, recreational, and navigational uses of waterways. Management of large-scale contaminated sediment, remedial investigations and remediation projects can be resource-intensive. In the US investigative efforts often cost tens of millions of dollars. Several of the larger superfund cleanups in the USA are now approaching in excess of $500M, and these include some high profile project e.g. the Housatonic River, Passaic River, and Lower Duwamish River. In the past decade, numerous guidance and reports were published in the US, Canada, Australia and Europe on different aspects of contaminated sediments management – both for the marine and inland waters. Almost 20 years ago, CIRIA publication R 175 Guidance on the disposal of dredged material in land has provided some guidance in sampling and which was then valid clean up standard for contaminated sediments (ICRCL). More recently in the UK, CEFAS, SEPA, EA, DEFRA etc. have also produced guidance on dealing with sediments. These guidance documents and projects are very country/region/sector specific. There are few comparative studies to determine how these could be relevant to UK. In addition, the majority of the publications are about dredging and disposal activities. In the UK, recently there have been more dredging to mitigate flooding but as the country got the capacity to deal with increasing volume particularly if the materials are contaminated? • develop a unified framework for implementing a risk based approach for contaminated sediments in inland waters and marine environment which will allow practitioners in UK to perform options appraisals when dealing with contaminated sediments. • a gap analysis to show these work cover and not cover. • further improve sampling and analysis of sediments. • As freshwater (esp. rivers, ports, harbour and canals) – there have been calls for more dredging in some parts of the UK to mitigate flooding. What implications will this have on the biota and the wider environment if the sediments are contaminated and how dredging could be carried out sustainably? Would you like to receive further information? Or are you interested to join the projectteam? Ph +44 20 7549 3300, Email joanne.kwan@ciria.org. 12-15 January 2015: Battelle 8th International Conference on Remediation and Management of Contaminated Sediments, New Orleans, Louisiana USA. 22-27 February 2015: ASLO – Aquatic Sciences Meeting, Granda, Spain. Special Session (SS114) on Multiple stressors in river ecosystems: challenges for conservation and management. 8-13 March 2015: ContaSed – International scientific conference on Contaminated Sediments: Environmental Chemistry, Ecotoxicology and Engineering, Switzerland. 3-7 May 2015: SETAC Europe 25th Annual Meeting in Barcelona. 24-25 June 2015: Final Conference ARCH ( Architecture and Roadmap to Manage Multiple Pressures on Lagoons), Newcastle University, UK. Deadline to submit abstracts is 20th February 2015. Participation is free, registration at conferences.ncl.ac.uk/arch. For more info about the conference contact paul.cowie@ncl.ac.uk. More info about ARCH on www.arch-fp7.eu. 6-9 September 2015: ECSA 55 – Unbounded boundaries and shifting baselines: Estuaries and coastal sees in a rapidly changing world, London, UK. Abstracts for presentations can be submitted until 27 March 2015. Call for abstracts closes January 1, 2015. See www.pianc.org.ar or contact smartrivers2015@aadip.org.ar for any questions regarding PIANC-SMART Rivers 2015. 23-26 September 2015: 9th International SedNet Conference: Solving societal challenges: working with sediments, Kraków, Poland. Including Special Session on the Impact of Fine Sediment on Ecology. Hosted and co-organised by AGH University of Science and Technology, Kraków, Poland. Deadline for submitting abstracts: 15 January 2015. October 2016: International Magdeburger Seminar on River Protection, to be held in in the city of Dresden, Germany. Main topics will be urban waters and its management.